Sprayer Trigger 500Ml : BCSands Online Shop - Building and Landscape Supplies, we supply Sydney's best! 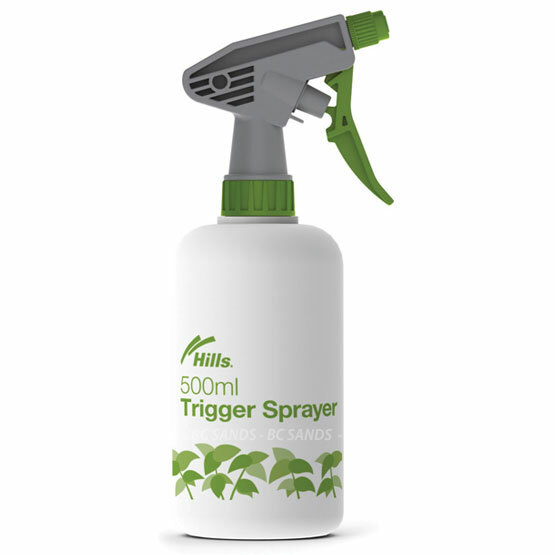 The trigger sprayer is a great accessory for indoor plants and household cleaning. Its multi-purpose and versatility makes the sprayer very easy to use. The sprayer comes with a trigger handle, adjustable plastic nozzle (fine or jet setting, and a strong, U.V. stabilized bottle.